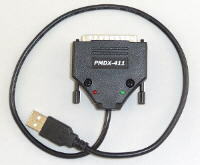 This item is now obsolete and we no longer offer it for sale. 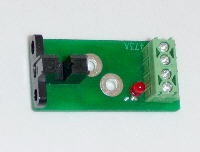 Repairs services are still available. 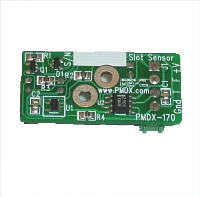 The PMDX-170 is a slotted optical sensor with fully conditioned NPN outputs. 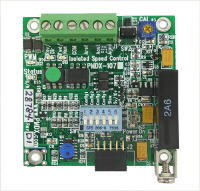 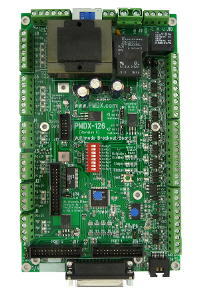 Outputs work directly with PMDX breakout board inputs and any other boards that provide a "pull-up"
Download the manual in PDF format here (revision 1.0, 54 KB).